Close-up of a pile of coffee beans. The most popular use for coffee beans is roasting them, grinding them and then filtering water through them to make coffee. Used this way, coffee beans yield little to no protein. The bean itself, however, does contain protein, whether you eat it “green” or after it is roasted. 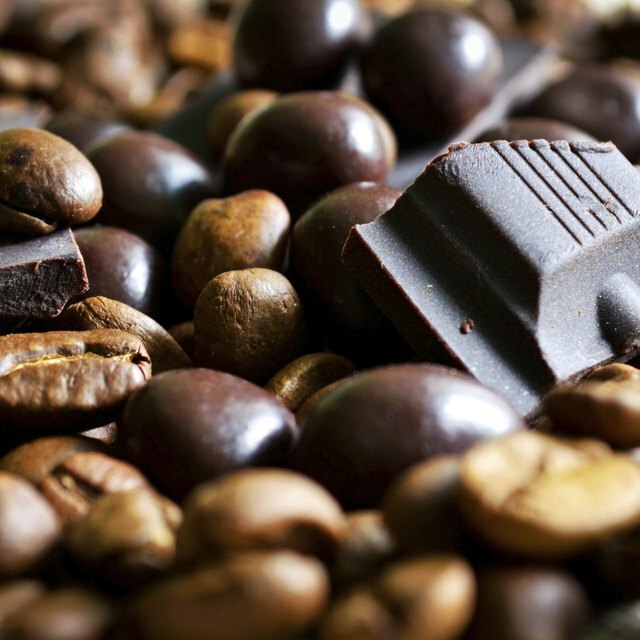 Chocolate-covered coffee beans are probably the most common way to eat coffee beans whole. Covered in either milk chocolate or dark chocolate, each serving of about 28 beans contains 3 g of protein. In addition to protein, coffee also contain 3 g of fiber for each 28-bean serving. The roasting process makes a small percentage of the protein in coffee beans soluble in water. However, brewed coffee retains only 0.28 g of protein per cup. None of the fiber present in the original bean remains in the brewed coffee product. Amino acids are the building blocks of protein. The protein from coffee contains primarily three of the 22 amino acids: glutamic acid, glycine and aspartic acid. Additional trace amounts of threonine, isoleucine, leucine, lysine, cystine, phenylalanine, tyrosine, valine, arginine, histidine, alanine, proline and serine exist, which means that coffee beans contain at least a small amount of seven of the nine essential amino acids. Unlike the other bean and seed protein sources, coffee contains caffeine. Each 28-bean serving of chocolate-covered coffee beans contain 336 mg of caffeine – several times the 95 mg of caffeine in a cup of brewed coffee. 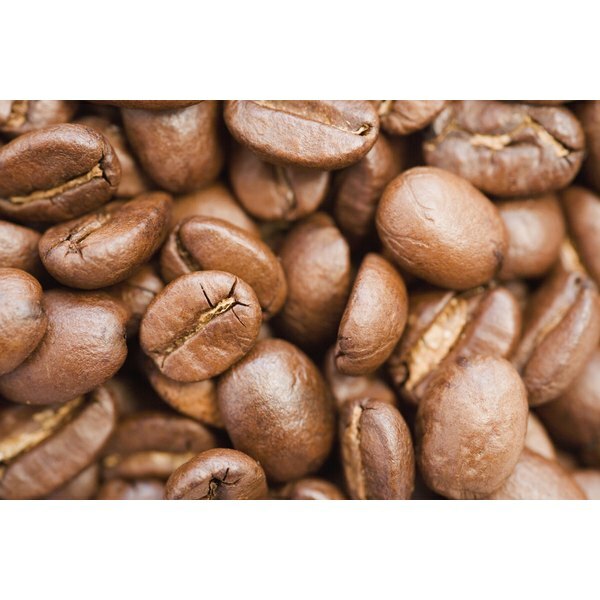 The caffeine content of coffee beans makes them a less-than-ideal source of protein. Consider the protein to be an unexpected bonus with your sweet treat rather than a legitimate source of protein to fulfill your daily needs.